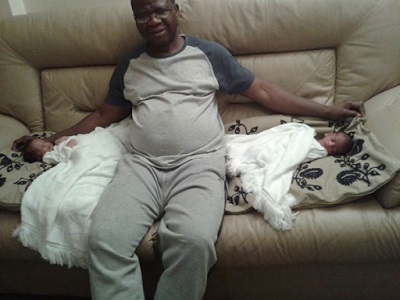 A 54 year old Nigerian woman in the UK has given birth to beautiful twin babies. 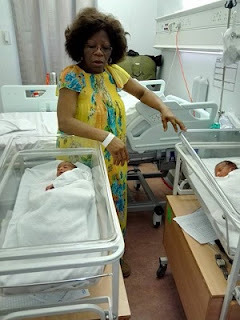 The woman's excited niece named, Temi Okomi shared the news on Twitter while also showing off the beautiful pictures of the bouncing baby boys. 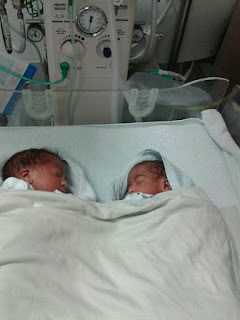 According to the Okomi, her aunt and her husband have been looking for the fruit of the womb for so many years until their fate recently turned around for good. It was gathered that all through their years of barrenness, her husband solidly stood by her. These are also his first kids ever. 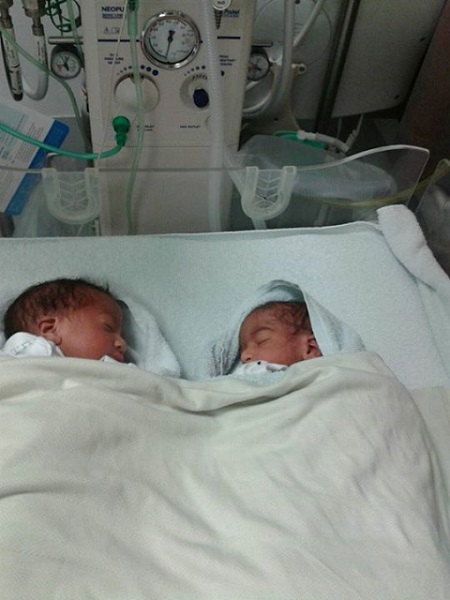 What a miracle!